It’s been a while since we have not published an official newsletter even though we have been in touch with you on a regular basis on our social networks and Telegram group. Cryptocurrencies continued shifting since that time with BTC.USD pair falling 44% and ETH.USD one falling 52%. Our crypto strategies have yielded from positive to slightly negative performance over the period. This should have helped you to withstand these terrible times. However, regardless of the price action, we feel that the institutional newsflow in favor of cryptocurrencies and blockchain is not that much affected. As announced recently, we have been officially granted the long expected licence from the AMF, the French regulator. This is the second important milestone that we have achieved in less than a year after launching our platform that provides the trading signals. It was a little longer than anticipated but our regulator has clearly taken a very positive stance on this project and will be watched carefully throughout Europe. Thanks to this news, we have gathered some press coverage on this event and have been congratulated and contacted by people from both crypto and finance universe. This is a first in Europe and maybe in the world. This helps us to continue growing our brand and will facilitate future marketing. As a reminder, given this milestone achievement, 25% of our tokens will be free to trade for the founding team, even though it is not our intention to sell them on a short time basis. We have patiently waited until we got our licence to start making a marketing push on the first DAF launch. In between we have hold numerous informal talks with various actors such as rich individuals, hedge funds and intermediaries. Now, given the market sharp downturn since the beginning of the year, we feel the timing is not right to make a large push on the first DAF as we need to have the timing right to make this first launch a success. While waiting for the right opportunity window, we will keep on making freely available the additional crypto strategies trading signals (ETH.USD, ETH.BTC and ETH.BTC.USD) that were not included in the initial project. We will also pursue other alternatives in terms of DAF structuring that we have started to initiate. We will let you know once we can present a comprehensive case. We anticipate and target that we will be able to make the launch of the 1st DAF in Q1 2019 but will play it by the ears to find the optimum window of opportunity. In terms of the first DAF launch, we are thinking on launching a DAF based on the BTC.ETH.USD allocation model which was not part of the initial project but provides the best return expectations. In terms of royalties payment, we are considering paying them in ETH directly. In terms of payment frequency, our intention is to pay them on a monthly basis but this will need to be fine tuned when we submit the fund documentation to the relevant regulator. These royalties would be paid only to the NPX token holders that have registered on our platform and that have elected to rent the licence associated with their token with Napoleon Crypto. This will be made clear in the terms and conditions of service. As for the terms of service, we will publish them by late December and will ask you to sign and agree on them. 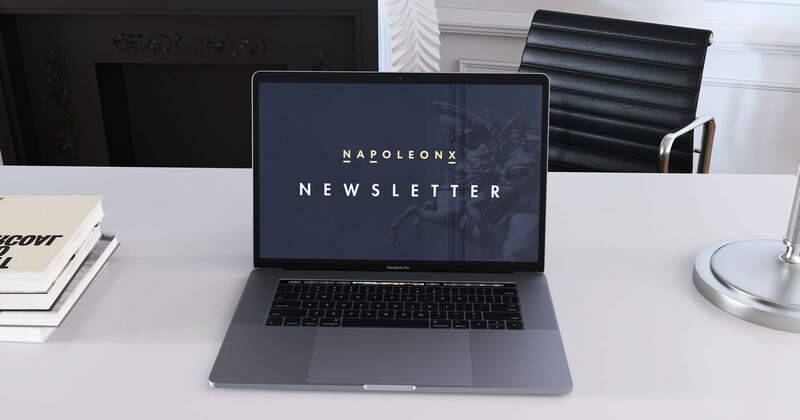 These terms will specify the conditions to be given access to royalties payment for the sub-licencing with Napoleon Crypto. Exciting times are ahead of us as we are one step away from achieving the first DAF launch, which has always been our target. We understand that some of you may be frustrated by the length of this process. Taking a look of what we have already achieved in so little time, given the moving legal framework and the adverse market conditions, we are proud of what has been done so far. In the great scheme of things we are setting up the asset management of the future and this cannot be done overnight. We are committed to make this project a success, and we want to thank all of you for your continuous support and sustained commitment to our endeavour.